Coaching teeball is a rewarding experience for many reasons, including the opportunity to coach your own child. It is usually a pretty low stress entry into team sports and if handled correctly not a lot of work. 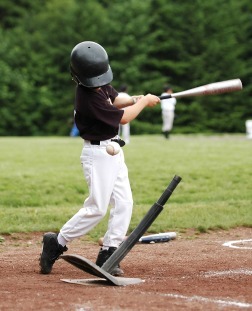 Many coaches have the luxury to help make the experience even easier by choosing the right t ball league. Checking around to find out about leagues is not a bad idea. 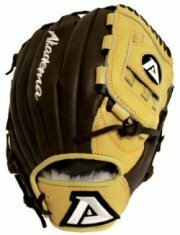 Tball has become so popular with parents and kids alike that many people have more than one choice of t ball league to play in. You might learn that driving an extra ten miles to play in another league is a small price for getting into a well organized, well run league. 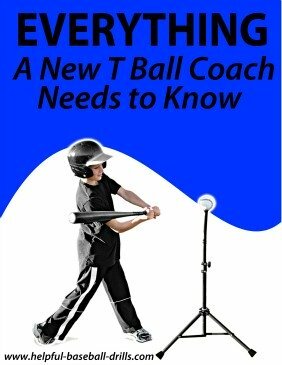 *Sorry to interrupt, but how would you like to be able to download a T Ball eBook that covers everything a t ball coach needs to know? It is 35 easy to read pages loaded with information, problems you will encounter and their solutions. Just click here to see what we are talking about. Everybody’s preferences will be different so I’m going to list out the features to check on in no particular order. How many players are you allowed to bring with you? Maybe your child has some friends or cousins they would like to invite to play on your team. Some leagues will allow you bring on board a whole team, other leagues no players. This can be huge to you if you have already invited some players. Check around, every t ball league is different. If the league allows you to bring a whole team on board, and you are looking for a fun, laid back league, be careful. This league might have some competitive type coaches. Just be prepared. This may not sound big but it can have a huge impact on your coaching life. Try to learn how fast the league reacts to cancellations. Parents that drive to a field only to find out the game has been cancelled get very mad. And whether it is right or not they tend to blame the coach. But if your league didn’t cancel the game until an hour before playing time it is tough to get every notified. Try to find a league that is well organized and gets the word out early. You may have to ask around to some older coaches to find answers to some of these questions. On some league websites you can past coach’s email addresses. Send them an email. Most coaches don’t mind telling you about their experience with a league. Player’s fees to leagues typically do not vary much. The leagues know about each other and try to stay in step with their fees. But I have heard of cases where this is not true. If you find a big difference in league fees try to find out if there is a good reason for the higher fees in one league, or has the other league just not caught up yet. And while we are talking about fees, we might as well bring up the subject of uniforms. Some leagues require full uniforms for teeball teams, and others only T shirts and caps. Full uniforms will drive up the cost. How do the fields look? Are they built so they will drain water well? A dirt field in a rainy part of the country is going to have lots of rainouts and make up games, causing you lots of headaches. Are you assigned to a field for practice time? Trying to find your own practice area can be a problem. It’s nice if the league can provide you with a field. And everybody probably already knows where the game fields are. Learning from past coaches about a t ball league is probably the best information you can get, but they are not always easy to find. Besides trying to find out the above information, also send each league an email with a couple of additional questions like can snacks and drinks for the team be brought in? How many umpires are used for games? What’s the age range of umpires? Their quickness and responses might give you an idea if this is a friendly league willing to help out a new coach, or are they out for the money. A helpful league can sure make a big difference. 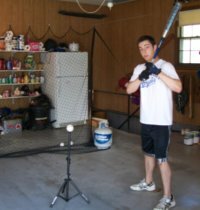 I hope you are one of the lucky coaches who has three or four teeball leagues to choose from, and that you found this article early enough to lend you a hand. Having coached in four or five different leagues has taught me there is a difference, sometimes a huge difference, in how a t ball league can be run. Here is a listing of our T Ball articles. Each one is different and offers valuable information on coaching t ball. We think it is beneficial to read each one.